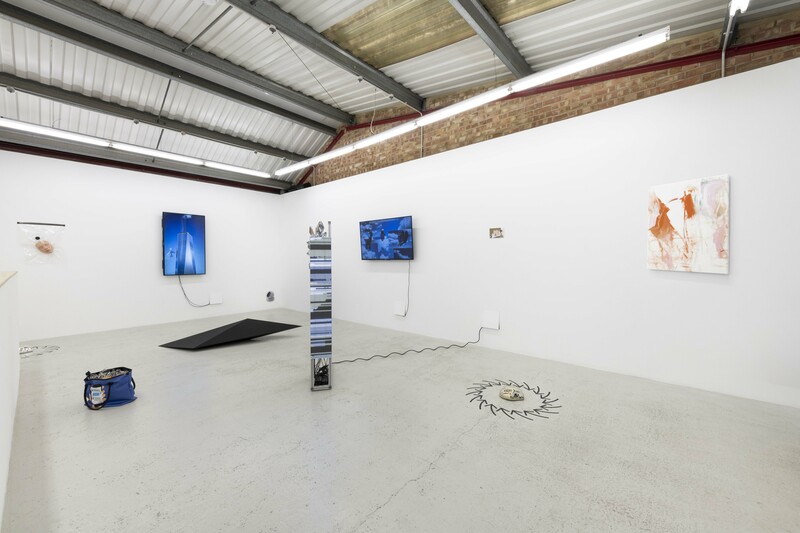 Annka Kultys Gallery is pleased to present Terms and Conditions May Apply, a group exhibition curated by Bob Bicknell-Knight to commemorate the launch of the fifth issue of his isthisit? book, featuring contributions from over 50 artists and writers. 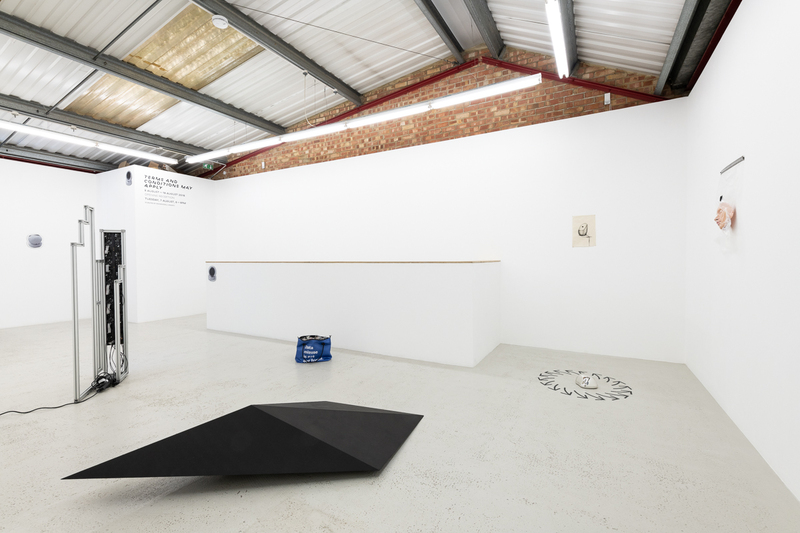 The exhibition includes sculptures, videos, simulations, drawings, paintings and prints from 15 national and international artists, including Fabio Lattanzi Antinori, Marion Balac, Bob Bicknell-Knight, Patrick Colhoun, Shamus Clisset, Alyssa Davis, Tom Galle, James Irwin, Jason Isolini, Jillian Mayer, Rosa-Maria Nuutinen, Moises Sanabria, Lotte Rose Kjær Skau, Owen Thackeray and Addie Wagenknecht. 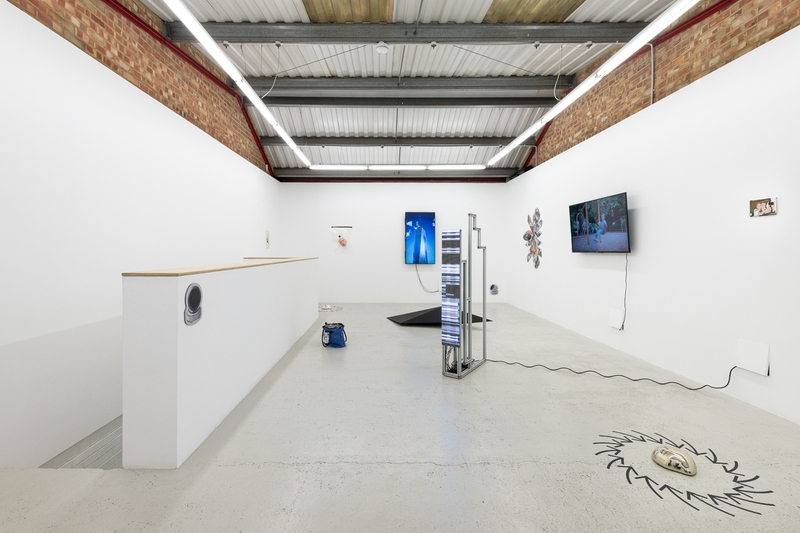 The exhibition concerns the current state of surveillance, striving to find a balance between the offline, overtly analogue monitoring of the past and the inherently online, data mining manipulation of the present. 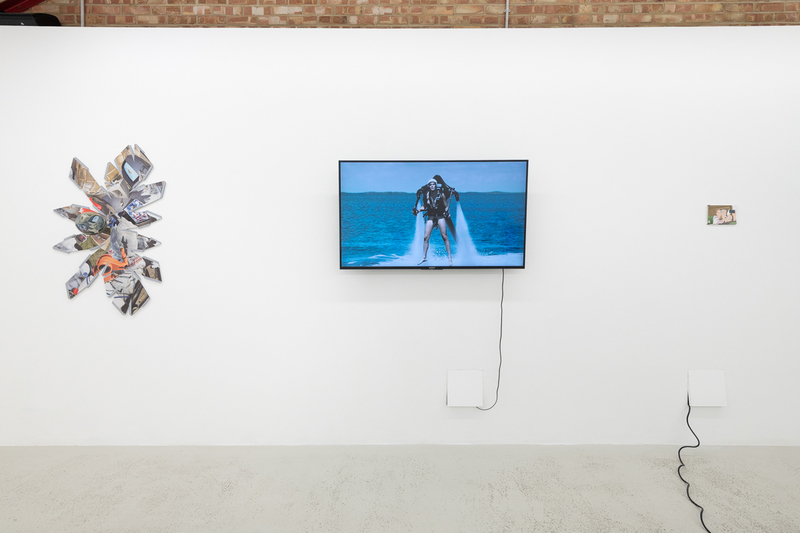 The exhibited works explore how and why our lives have become increasingly observed by and mediated upon by corporations and government bodies. Is a surveillance state something to be strived for?, for example, enabling the young and old to traverse dark streets late at night, or would this swiftly turn into a thinly-veiled dystopian nightmare, built on elegant rhetoric subliminally insinuating that minority groups are the problem, forcing the lower classes out of cities and into oblivion? Or has this not already happened on a world-wide scale? Is it ethically and morally correct to use a data-mining company to manipulate and seduce voters? Who makes the rules in a society that increasingly resembles a totalitarian paradise? Fabio Lattanzi Antinori’s sculpture Masters and Slaves. Facebook. (2018) is modelled around a flashcrash that hit Facebook on the 26th of July 2017. A flashcrash is an ultrafast anomaly which mysteriously affects the shares of a company on a given financial market, leading to losses and recoveries of billions of dollars in seconds. This particular one occurred due to false documents being published online by Facebook. The documents were read by algorithms and passed over to other algorithms that trade on behalf of humans in a fully automatic process, during which Facebook and its investors lost millions in just fractions of seconds. 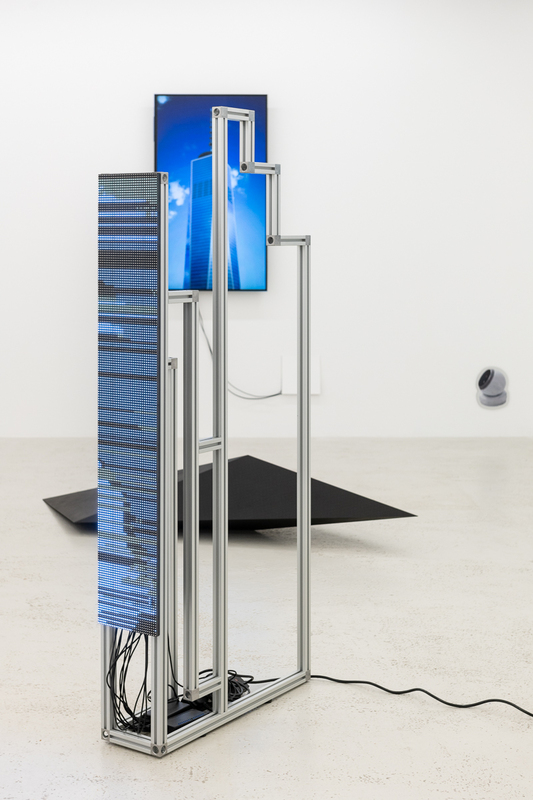 The sculpture, which examines our society’s dependence on technology we can no longer fully understand, features a video running on LED matrices, displaying a data visualization of the news published on the day of the flashcrash. Marion Balac’s series of outsourced digital drawings How to (Learn Online)(2017) transforms abstract verbs and phrases intended to capture certain feelings into wikiHow inspired illustrations, produced and printed onto the back of iPad Mini cases as reference aids to future generations. Bob Bicknell-Knight’s new sculptural work Unattended Bag (2018) takes the form of a custom made handbag featuring slogans from a recent Facebook advertising campaign launched in the wake of the Cambridge Analytica scandal, whereby it was revealed that illegal data harvesting on the platform had occurred on a world-wide scale during the 2015/2016 United States presidential election campaign and the 2016 Brexit vote. The unattended bag, referencing the continued threat represented by unattended luggage in public and private spaces, contains a number of shredded newspapers accompanied by a 3D print of Facebook founder, Mark Zuckerberg’s head. The attached USB contains all of Bicknell-Knight’s Facebook data since joining the social media platform over 10 years ago. 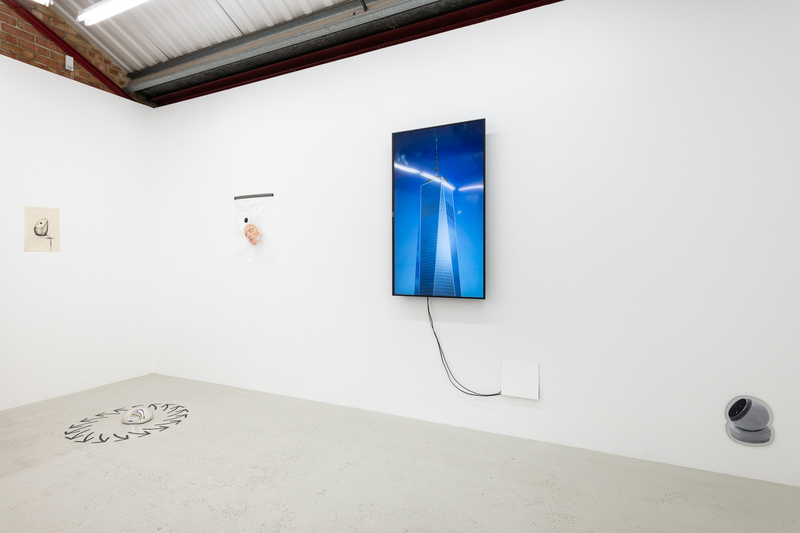 Patrick Colhoun’s ongoing series Always Watching Over You (2015 – present) incorporates both the form and aesthetics of lidded CCTV cameras, beautifying the objects by fabricating them in glazed ceramic forms and installing them in areas and locations that one would customarily see such devices. Tom Galle, Alyssa Davis and Moises Sanabria have collaborated on multiple projects throughout their time on the internet, becoming well known for creating viral content that receives thousands of likes on Instagram and millions of views throughout the web. A recent project of theirs, Corp Gear(2017), saw them reproduce a collection of weapons made out of corporate logos, drawing attention to the perceived violence inherently embedded within the inner workings of these vast companies. 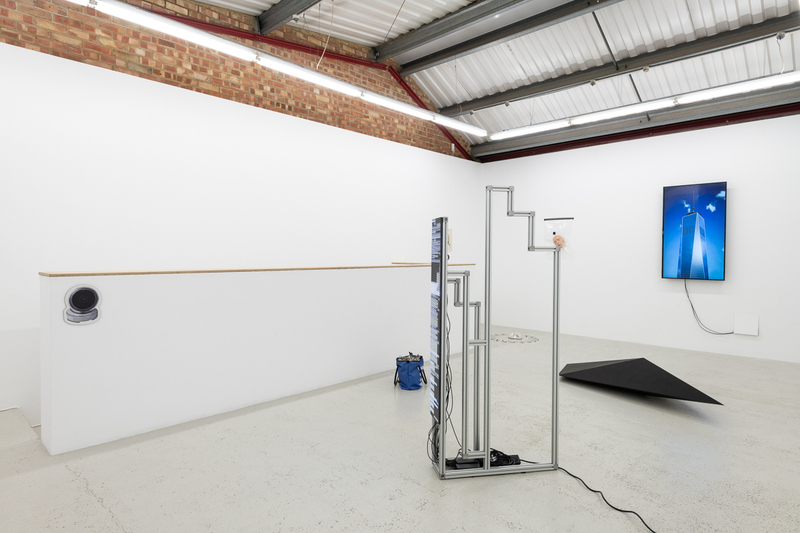 A work from their series, McDonald’s Brass Knuckles (2017), is included within the exhibition. 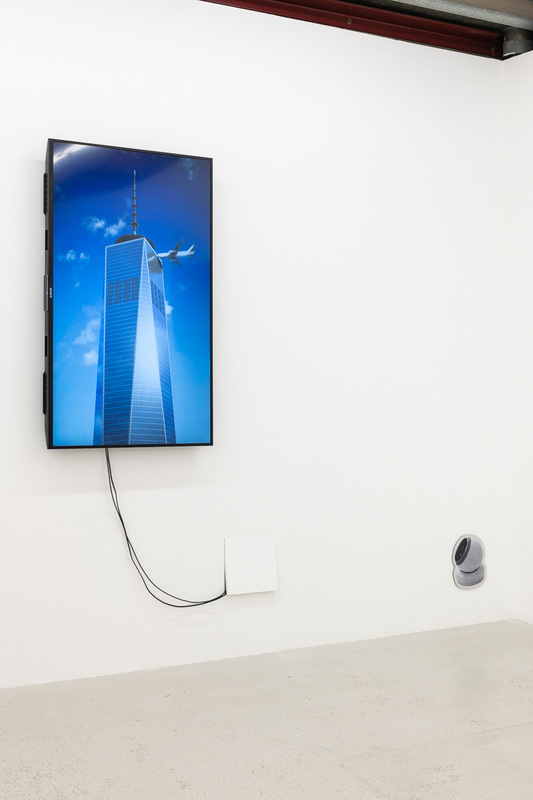 Shamus Clisset’s New Empire (2017) is a live simulation of Freedom Tower, the main building that forms part of the re-built World Trade Centre complex in New York, accompanied by an infinite number of planes flying around and sometimes into the simulated building but bouncing off of the skyscraper’s impenetrable glass shell. 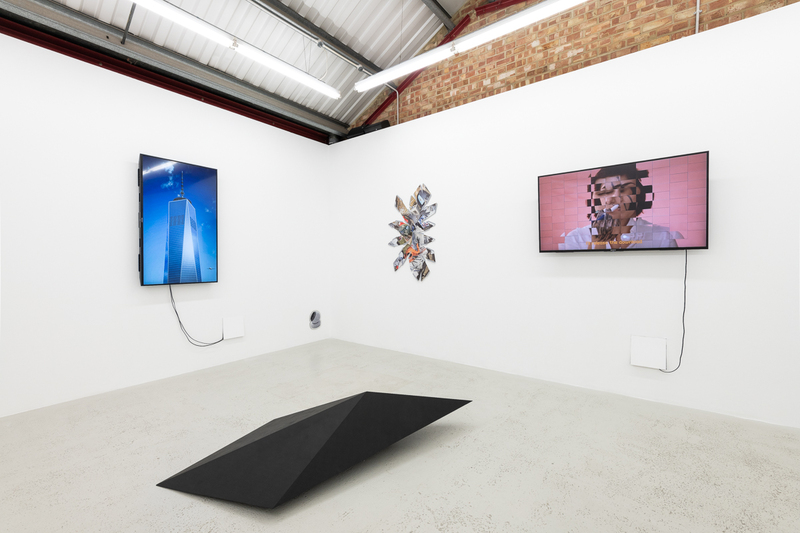 The work may be seen as a reaction to America’s and the world’s overwhelming support for the strengthening of borders, security and surveillance in a post 9/11 world. James Irwin’s The Hopeless Diamond (2011) takes its formal inspiration from the angular architecture of a Lockheed F-117 Nighthawk, the first stealth fighter jet. Painted in Wi-Fi blocking paint, the piece becomes a black box, untraceable and unattainable from the outside world, much like the original aircraft. 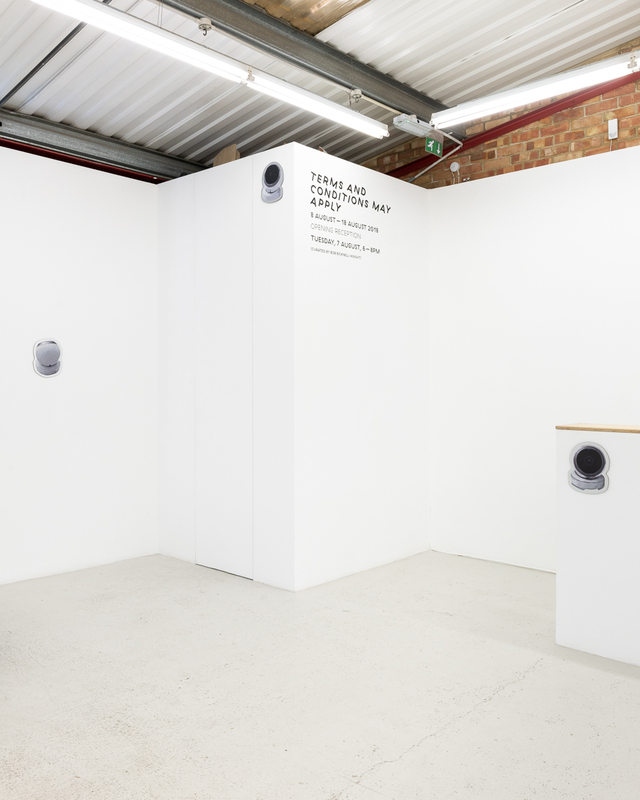 Also included in the show is Listening to Xanax (Floored and Reset: Inclusivity version) (2018) and Listening to Xanax (Floored and Reset: Exclusivity version)(2018), two chrome domed autonomous robots that manoeuvre around the boundaries of their allocated space, always unaware of their direction. The robotic movements of back and forth is used as a cybernetic link to the inhaling and exhaling of human breathing. 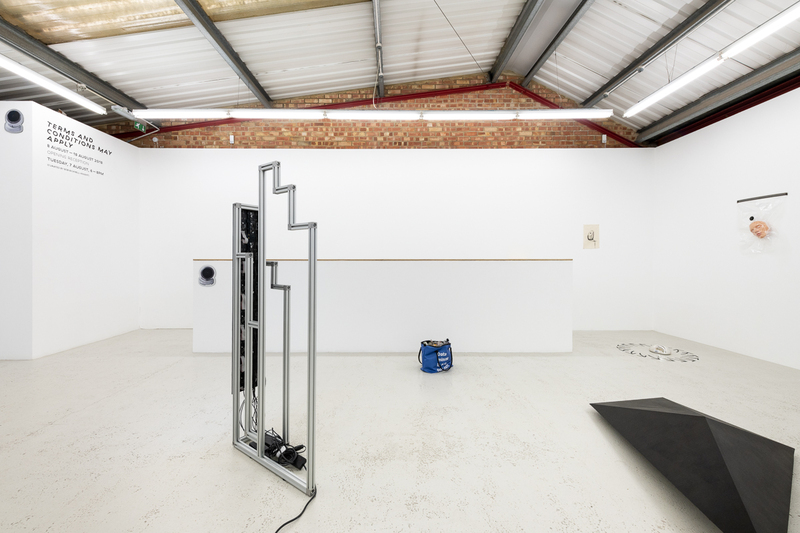 The whirring motors of the robots bleed into the exhibition environment, creating an integrated soundscape. This dichotomy between the natural and the robotic is symbolic of the synergy needed to get two autonomous entities working in harmony. As the robots try to control their own environment, they can also be seen as being controlled by their environment; both symptoms of an anxious condition. Jason Isolini’s work is influenced by his experience as a photographer for Google Maps creating virtual tours throughout New York. Counter Sphere(2018) combines images shot around his community with stock photos, creating a hyperactive, disorienting view of what our future might look like in a privatized virtual public space. Jillian Mayer’s PostModern (2013) is a comedic-satirical-sci-fi-pop-musical based on the theories of Ray Kurzweil and other futurists. It tells the story of two Miami girls and how they deal with the technological singularity, as told through a series of cinematic tweets. 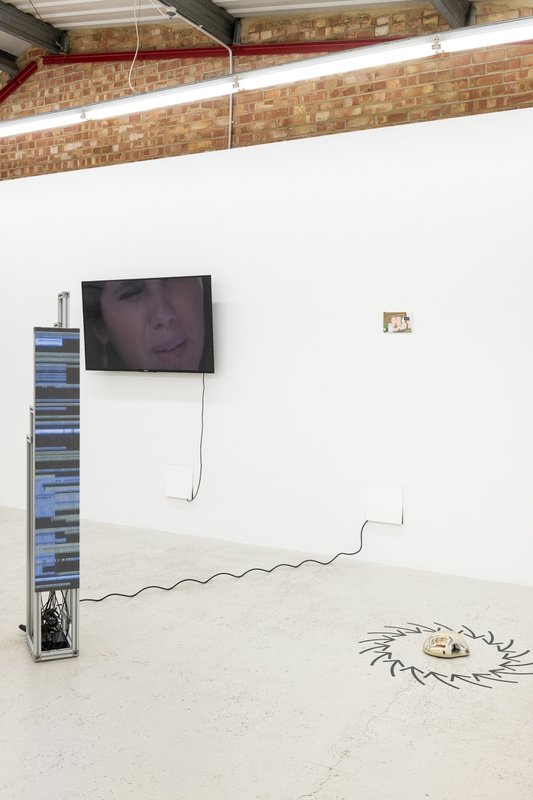 Rosa-Maria Nuutinen’s drawing Siri(2018) considers the underlying architecture within new technologies and the ever growing relationship between the human and the machine. 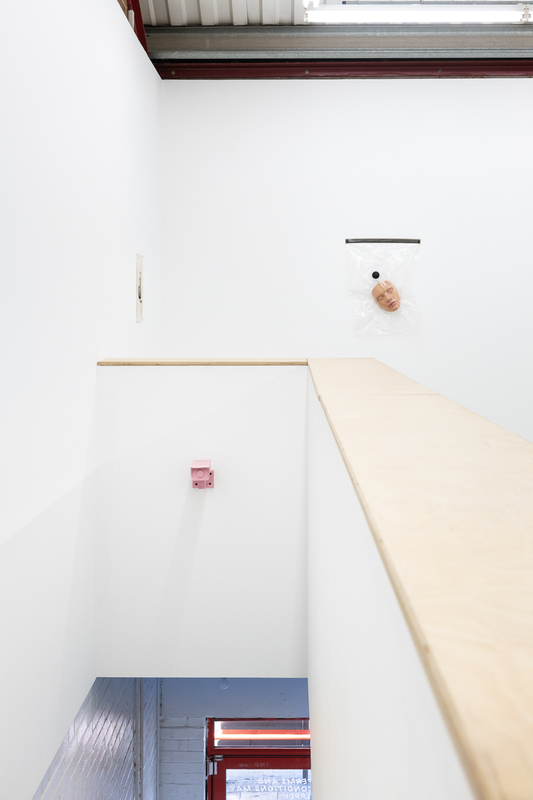 The piece depicts a device, akin to Amazon’s Alexa or Google’s Google home, but with fleshy, veiny and cable-like strands attached. Lotte Rose Kjær Skau’s new series of digital paintings on aluminum prints, Peace of mind, day or night (2018), are four portraits of home surveillance cameras. The use of home surveillance normalises the intrusive nature of these cameras, eliminating privacy and enabling private individuals to grow accustomed to constantly having eyes directed at them. The cameras have eyes and memories, and are attributed human features, with round smooth surfaces designed to look cute and friendly, making it easier for individuals to empathize with the technology, allowing for the easy integration into their homes. These cameras, made specifically for the home, are very different compared to the pointy, more angular, outdoor public cameras that are distinctly more authoritarian, guarding public space and gathering marketing directed behavioral data. 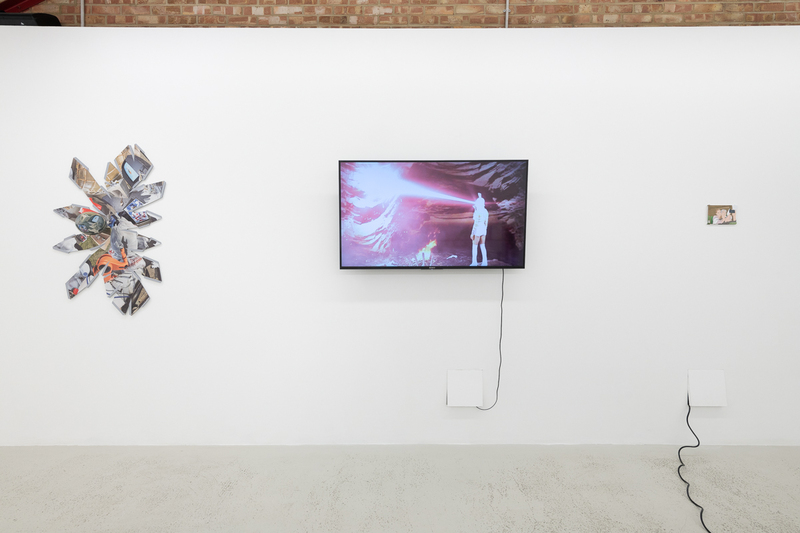 Skau’s digital portrait paintings, in which the cameras are presented with a dreamy gaze, are there to investigate these notions and to emphasise the human attributes we assign technology. Owen Thackeray’s We are gonna play the rest of this night out in motherfucking peace. Does anyone have a problem with that? takes the form of a 3D printed mask developed by using a Non Player Character (NPC) content creator commonly used in video game development to fabricate randomized characters for in game worlds. Finally, Addie Wagenknecht’s painting, Peonies and Oranges (2018), is made up of various beauty products, applied using household cleaning appliances including a mop and a Roomba, an autonomous robotic vacuum cleaner. Beauty and skin care products are utilised in contemporary society both to beautify oneself and also as a way of disguising or altering one’s features, creating an aesthetic form of protection from society in an attempt to blend into the crowd, but also as a tool by harnessing such consumer products to create subtle performative gestures. 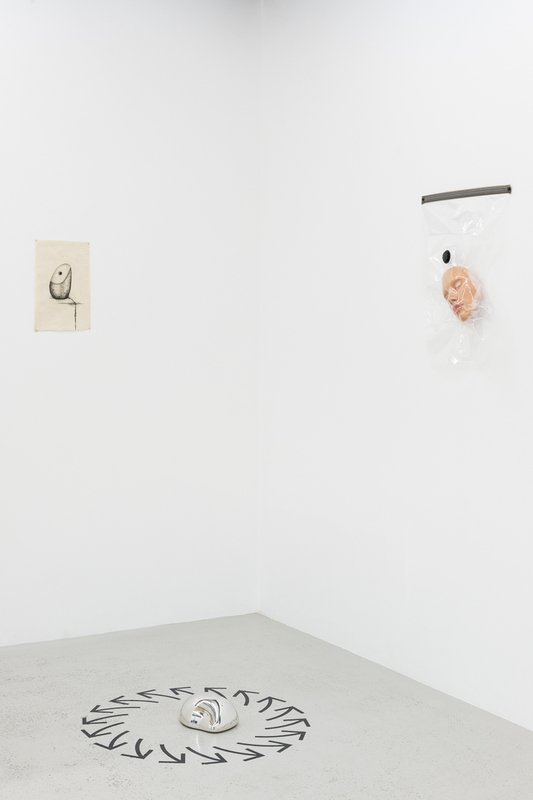 In this work Wagenknecht questions how and why makeup, facilitated by outsiders and corporate conglomerates, is used.